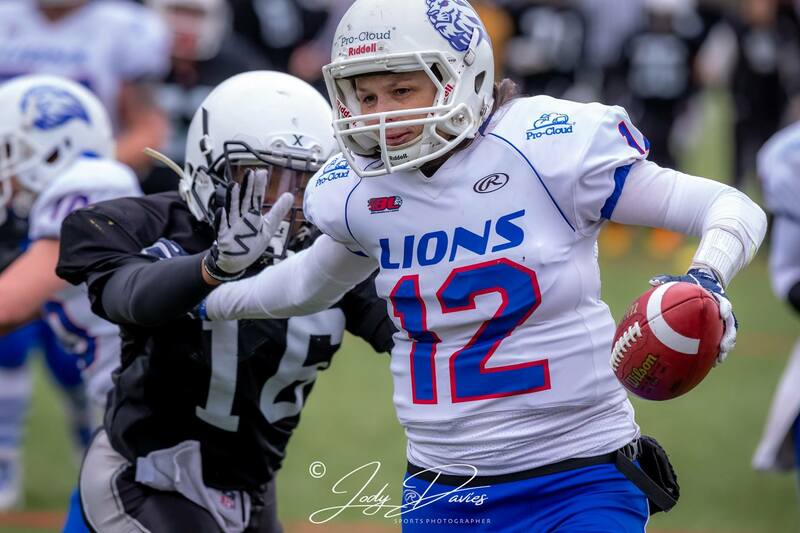 The 2019 season has been an interesting one for The Birmingham Lions Women’s Team and in the next few days it’s about to get even more interesting! For the Sapphire series, to ensure their talented roster got plenty of snaps, they opted to enter two teams, one in the Division One South and another in the Division Two North. Things went to plan initially for the Div 1 roster, but then a rare occurrence happened, they lost a game, to a fast-improving London Warriors squad. This spurred the Lions on and in the return match they levelled the score with a win, tee-ing up a potential title decider in the final round of games. The division two squad had mixed fortunes, but overall showed great promise, notching up two wins. On Finals day in Division One it was evident the Lions were in no mood to give up their title and won the hard-fought title deciding rubber with the Warriors by a score of 26-12. Whilst they celebrated their sixth consecutive Sapphire title their minds were shifting towards their next challenge, some eleven a side ballin’ against top Swedish side the Arlanda Jets. 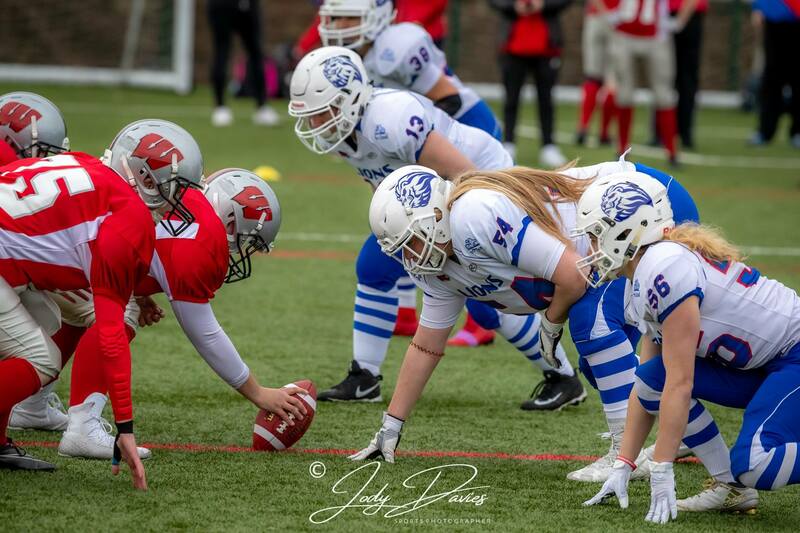 In the spirit of offering some of the UK’s top women players an excellent development opportunity, they reached out to near neighbours The Sandwell Steelers, offering their players the chance to integrate with the Lions squad and make the trip to Sweden for the Super 11’s game. On offence this will clearly be a different looking Lions roster to the one that took on The New York Sharks and Helsinki Wolverines in the Transatlantic Challenge last September. 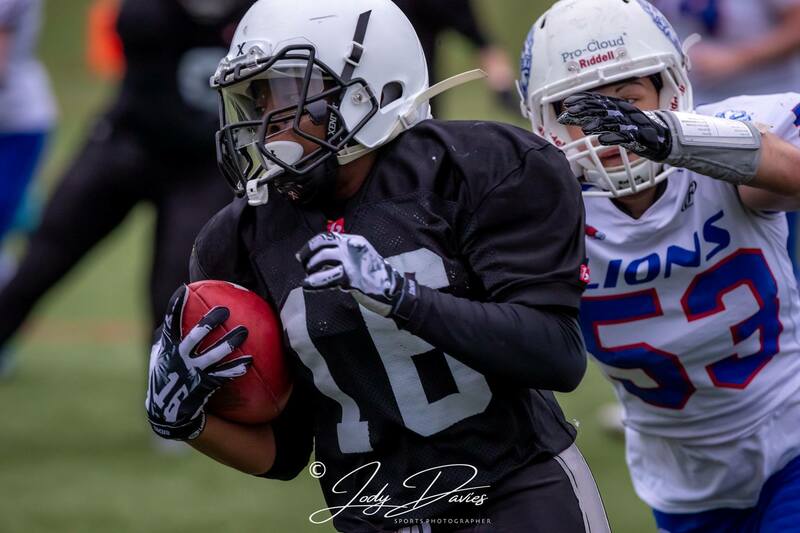 Stud running back Ruth Matta is currently stateside with the Boston Renegades and receiver and kick returner Hannah Pye has “retired” (hopefully she’ll be back soon). This will, however, be a great opportunity for the Lions to show their depth and for the players to perhaps stake their claim for a spot in the Great Britain squad that will be playing in the European Championships later this year. The good news on defence is that their talismanic linebacker Phoebe Schecter is available and travelling. We’ll be watching this Super Elevens game with great interest and will bring you a full report on how it went soon.